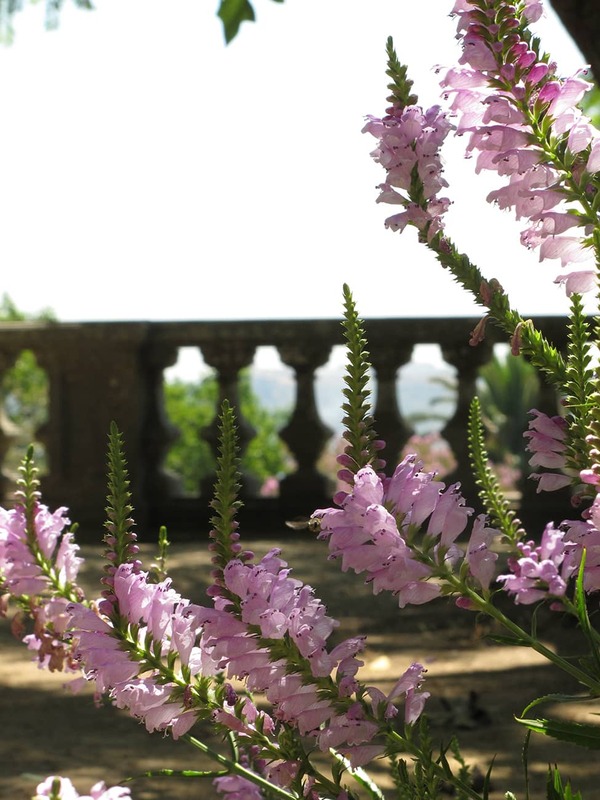 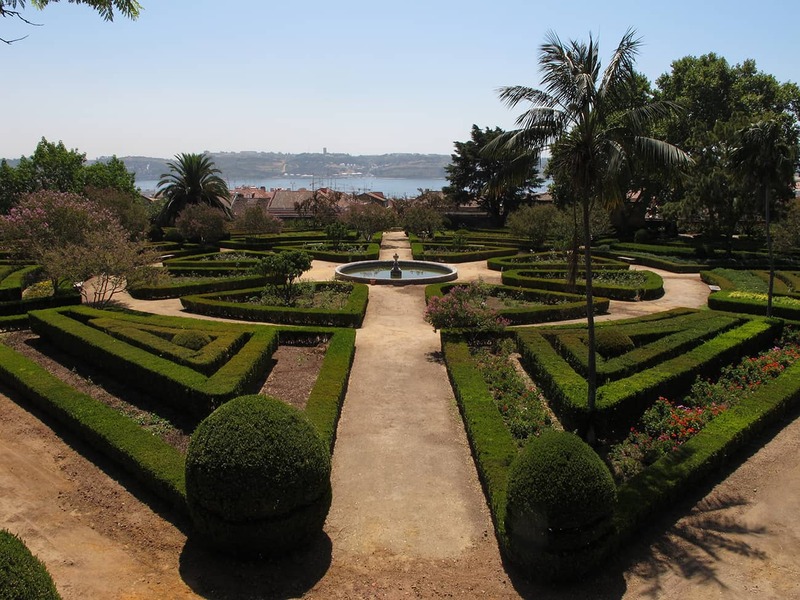 Halfway up the hill north of the riverside neighborhood of Belém, Portugal’s first botanical garden, looks out over the mouth of the Tagus. 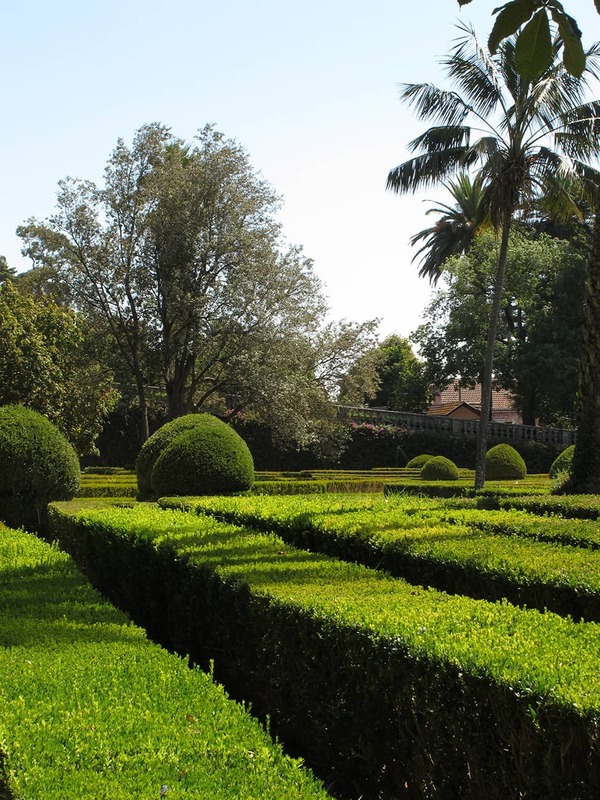 King José I commissioned the Italian naturalist Domenico Vandelli to put together the first plant collection based on Linnaeus’ classification system. 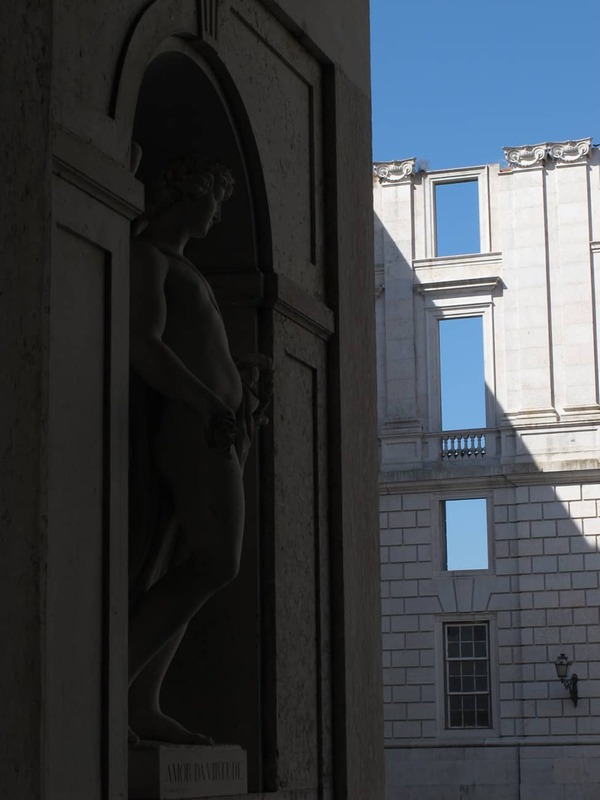 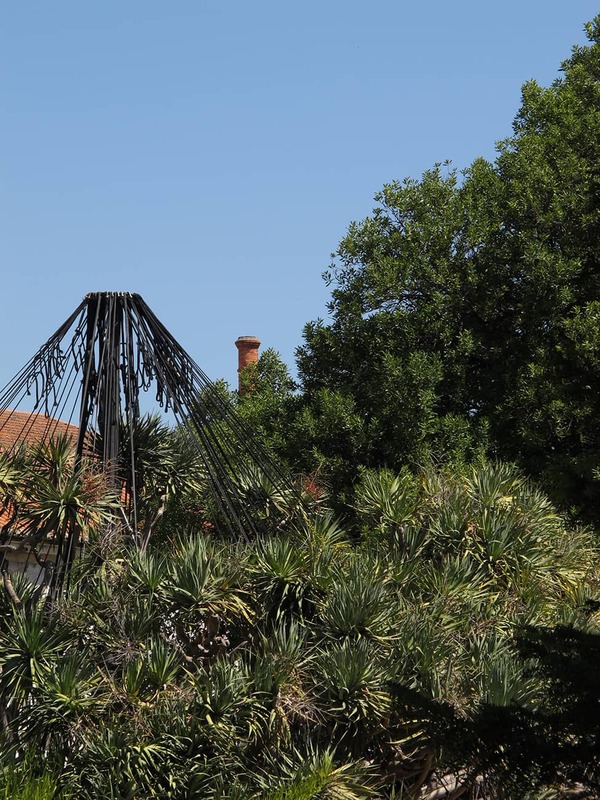 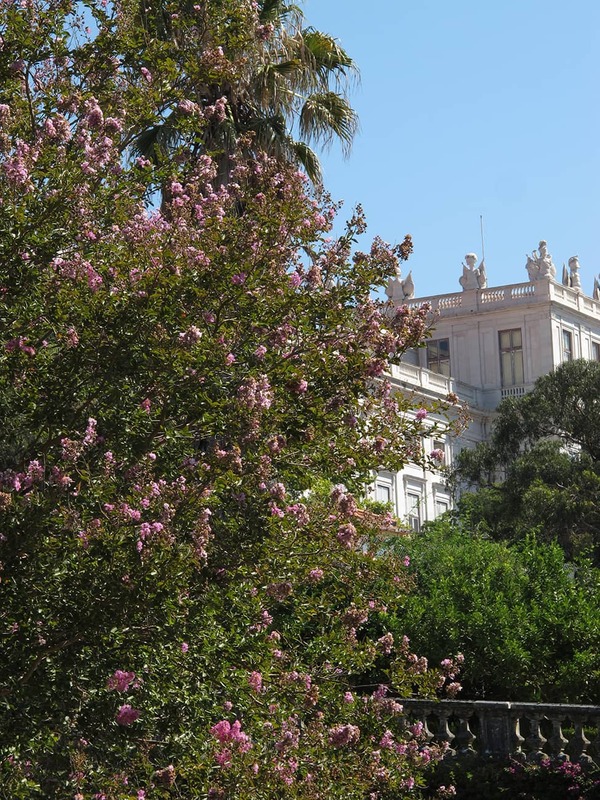 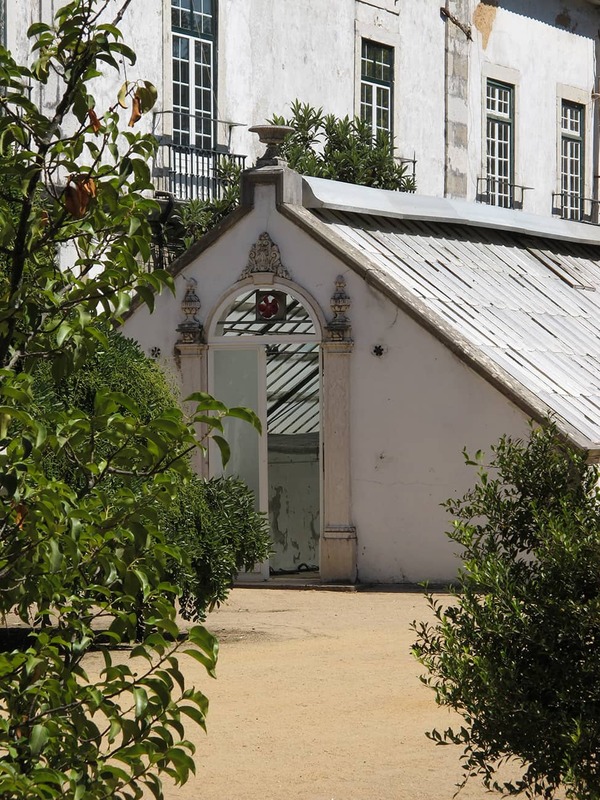 The site selected for this work was the land adjoining the Quinta Real de Cima, the residence the Court moved into after the earthquake of 1755. 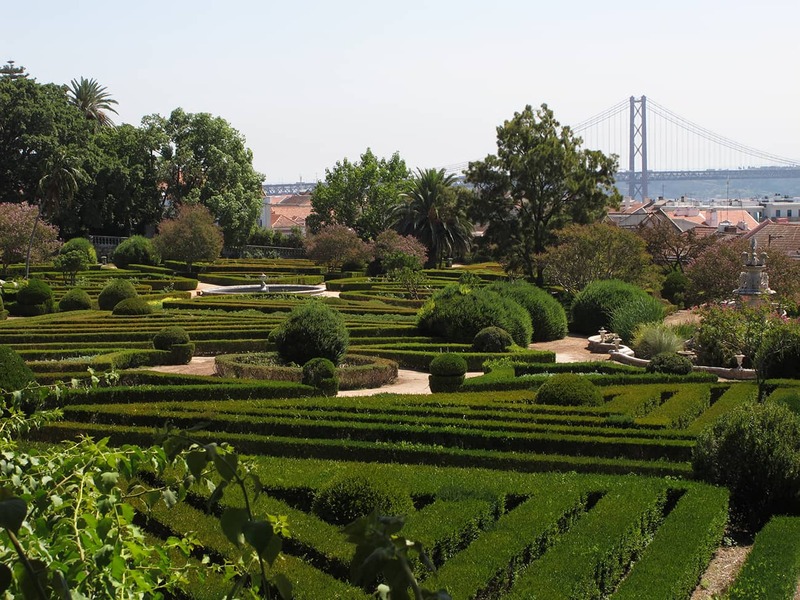 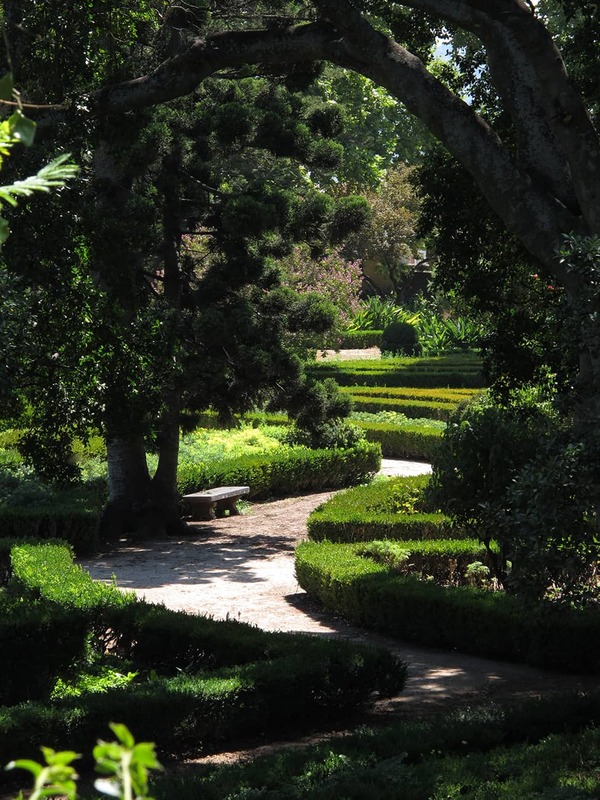 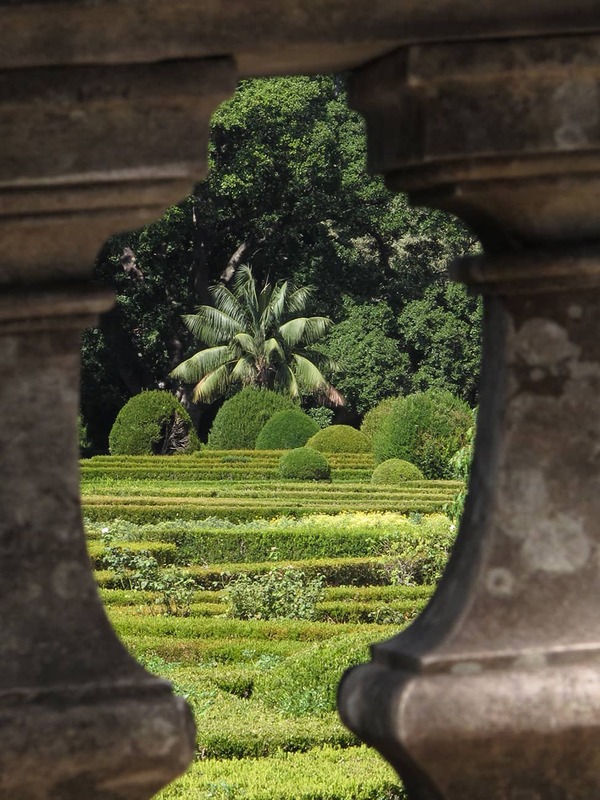 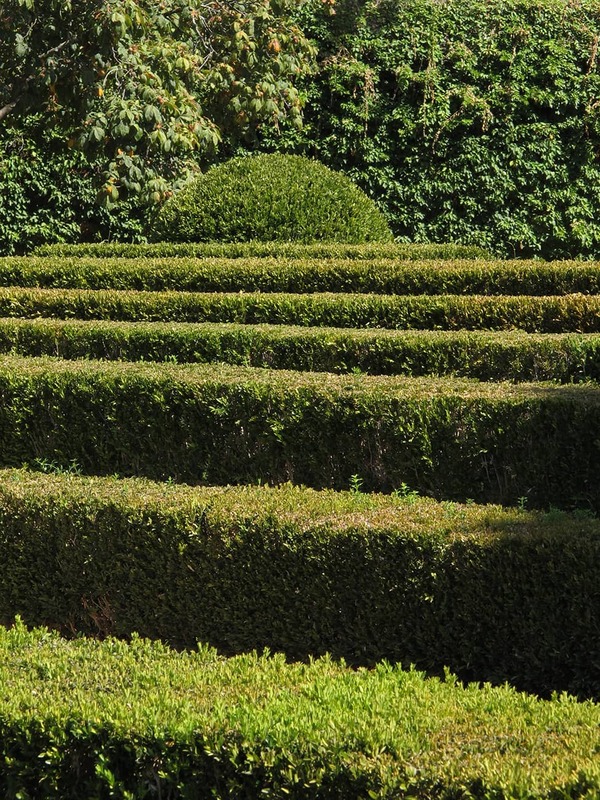 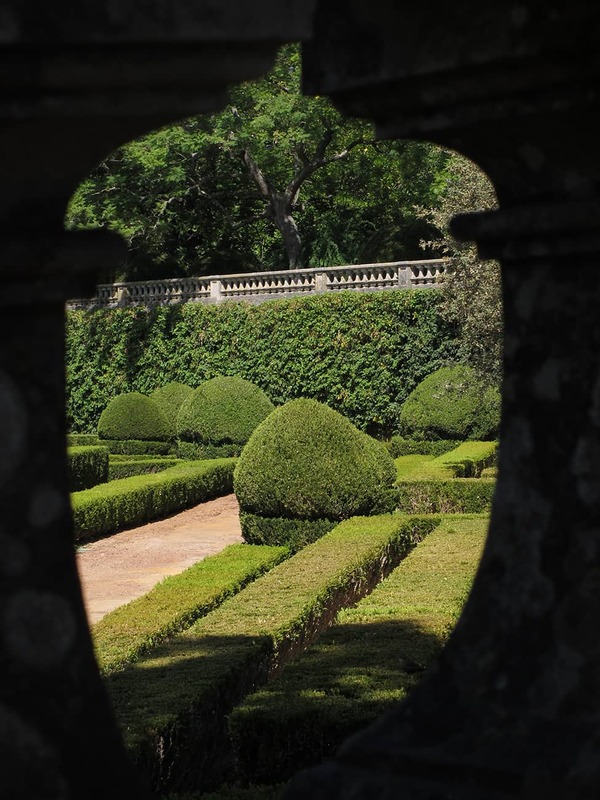 The garden is organized on two different levels; in the lower terrace, paths and parterres are laid out geometrically using boxwood (Buxus sempervirens) and Myrtle (Myrtus communis). 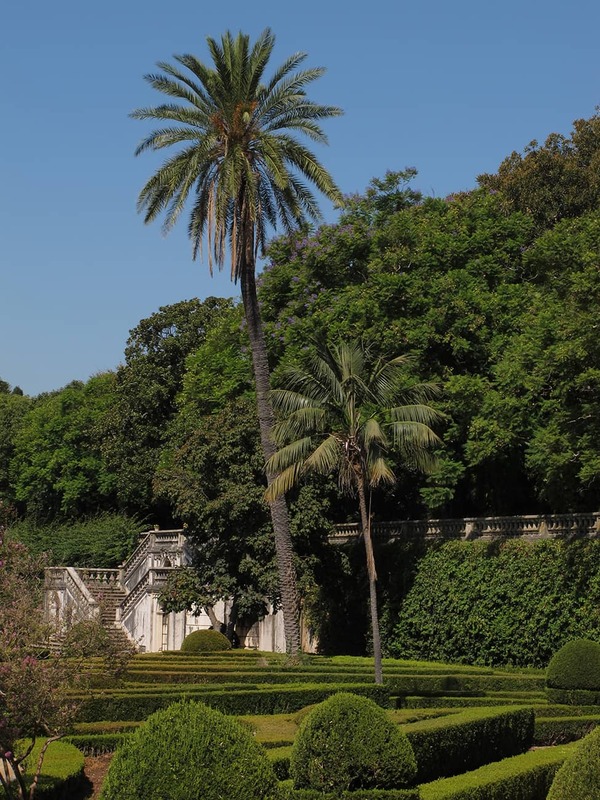 The external contour of these parterres is repeated concentrically and in rising fashion; Pyramid trees (Lagunaria patersonii), Araucaria (Araucaria heterophylla), Crape Myrtle (Lagerstroemia indica), Ficus, and Dragon tree (Dracaena drago) as well as various species of palm trees shade the paths. 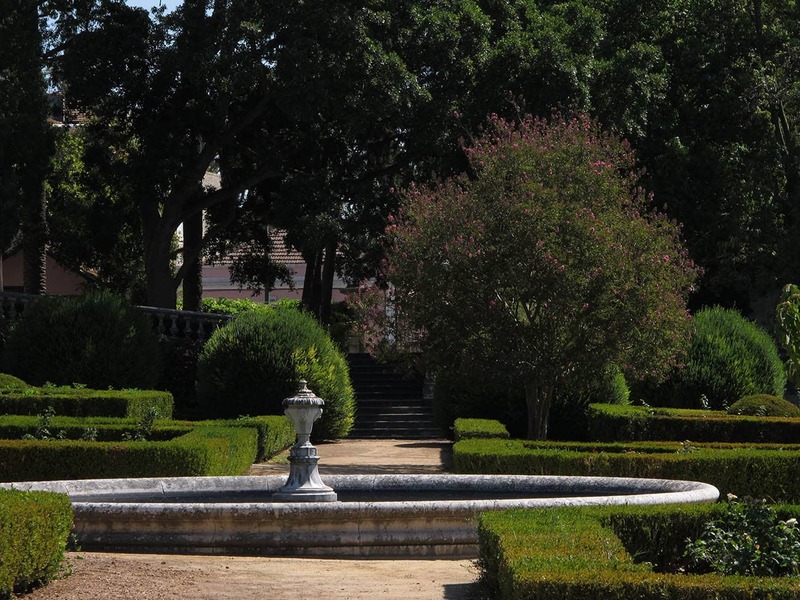 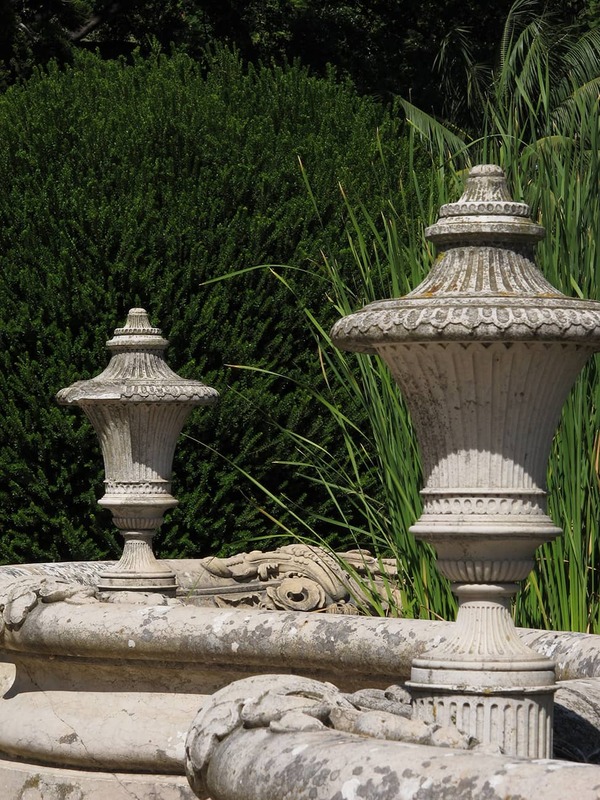 The center of the parterres feature classical fountains in white marble. 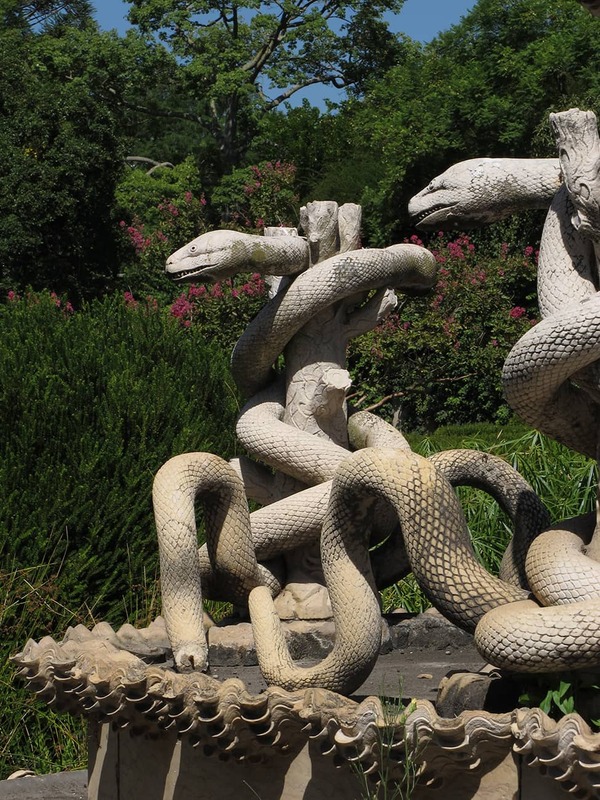 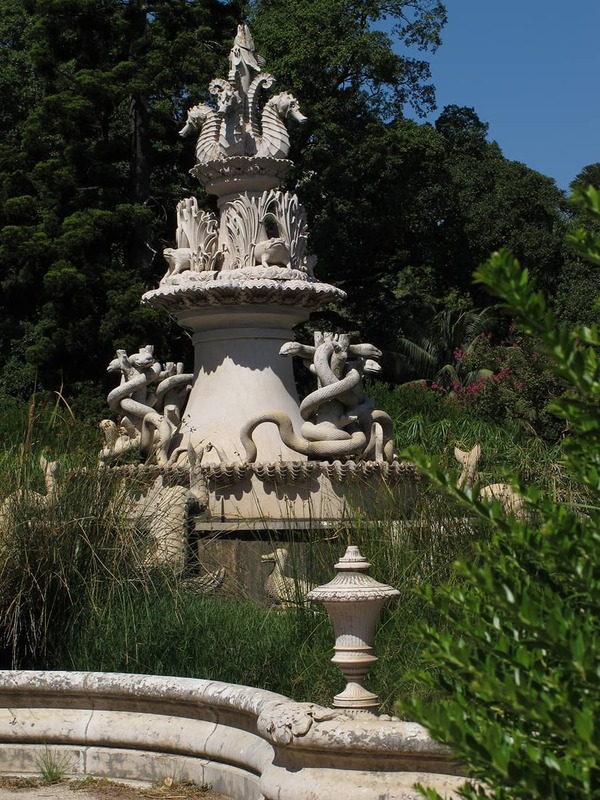 Especially noteworthy is the main fountain, in which representations of reptiles, amphibians and fish are treated with unrestrained fantasy and sophistication. 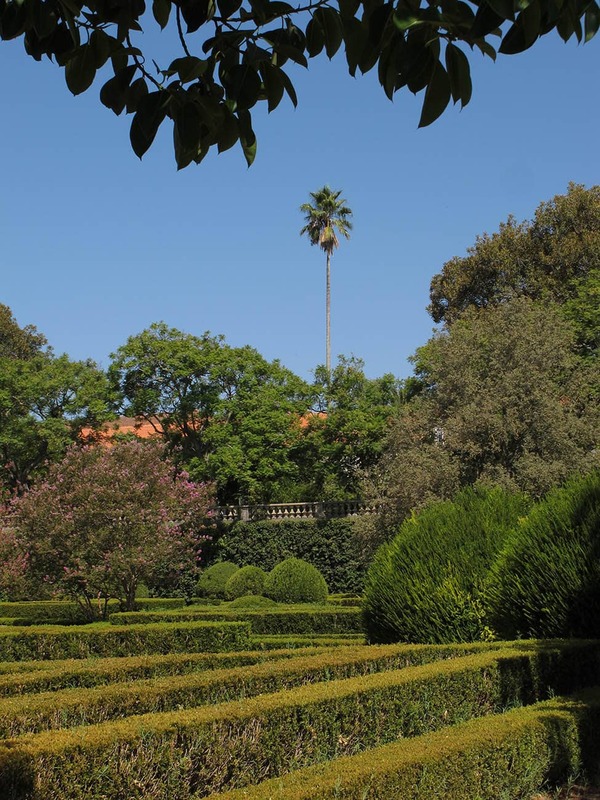 A statue of the young King presides over a staircase leading upward to a terrace and to more fountains and hothouses where, under the sweet shade of the Jacaranda trees (Jacaranda mimosaefolia), one can admire the cupola of the church where the Marquês of Pombal was buried and can follow the course of the Tagus as it returns to the ocean.